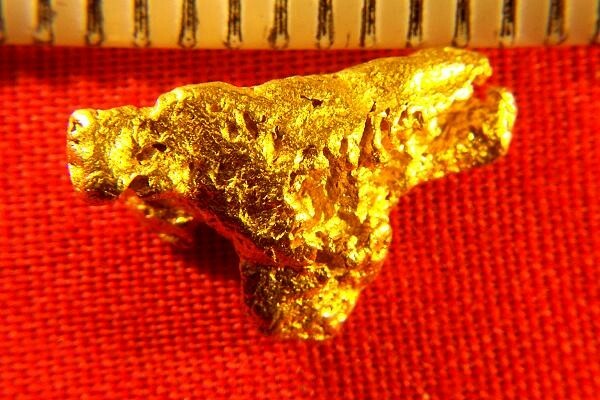 This 3.5 Gram (54.0 Grains) Australia gold nugget is very pretty, with an unusual shape. Australian gold nuggets are among the purest in the world at 94% to 98% pure gold. The size of this fantastic Australian gold nugget is 5/8" (16 mm) long. It has gorgeous color and is a nice clean jewelry/investment grade natural gold nugget, the highest grade you can buy.